Gorgeous Bayliner 217 Deck Boat. Perfect for water sports and family fun. PERFECT FOR LAKES, RIVERS, & OCEAN The 217 is a crowd pleaser in more ways than one. Called the Best Real Estate Deal in Boating by Boating Life magazine in 2007, the 217 has more room for fun than youll know what to do with. The Transom Fun Zone with walk-through access adds an extra place to chill or seek watersports thrills. The 217 Deck Boat provides more interior space than conventional runabouts and bowrunners. 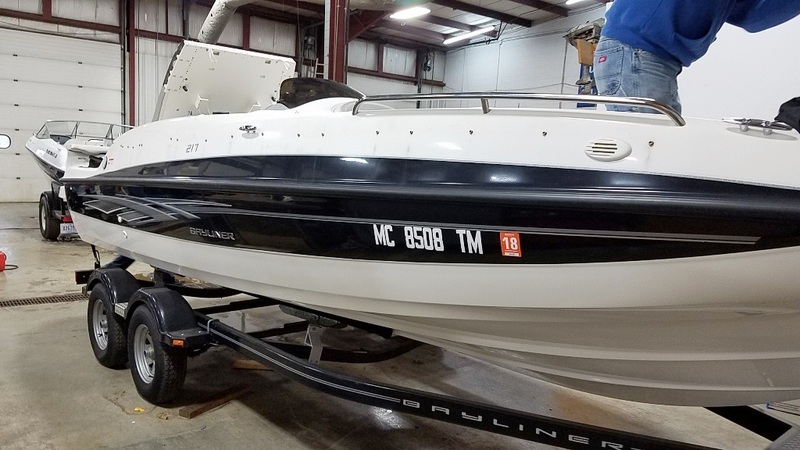 It is the perfect all around boat allowing you to ski in the lake, cruise the river, and fish in the ocean.This boat is well maintained with low hours. 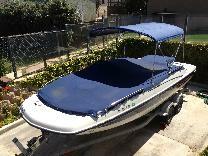 Features include: * Bimini Top* Fish Finder* Depth Guage* Swim platform* 2 ladders* Port-a-potty with privacy enclosure* Galvanized Trailer (will not rust)* Upgraded disc brakes on trailer (will not seize)* New upholstry in 2013* New custom cover in 2013* 12 person capacity* snap out carpetYou've got to come see it!!! PERFECT FOR LAKES, RIVERS, & OCEAN The 217 is a crowd pleaser in more ways than one. Called the Best Real Estate Deal in Boating by Boating Life magazine in 2007, the 217 has more room for fun than youll know what to do with. The Transom Fun Zone with walk-through access adds an extra place to chill or seek watersports thrills. The 217 Deck Boat provides more interior space than conventional runabouts and bowrunners. 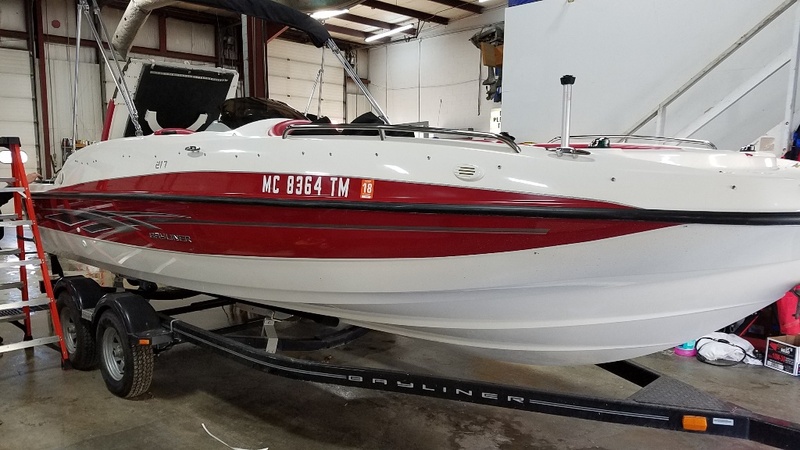 It is the perfect all around boat allowing you to ski in the lake, cruise the river, and fish in the ocean.This boat is well maintained with low hours. 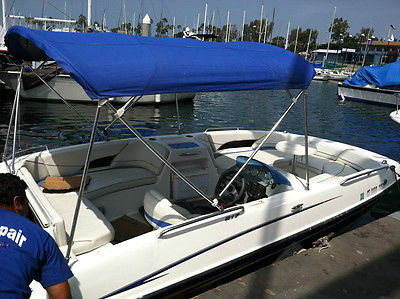 Features include: Bimini Top Fish Finder Depth Guage Swim platform 2 ladders Port-a-potty with privacy enclosure Galvanized Trailer (will not rust) Upgraded disc brakes on trailer (will not seize) New upholstry in 2013 New custom cover in 2013 12 person capacity snap out carpetYou've got to come see it!! !